One tried-and-tested way of sprucing up your home is using colors from the surrounding landscape and integrating them to the exterior. Aside from creating a stronger connection between your home and the greenery, the resulting blend of colors can make it stand out further. Choose matching hues. Roofs are available in a variety of colors. These include black and gray, two of the easier options you can work with due to their traditional look. A gray roof, in particular, can match seamlessly with the patio and garden if you add a stone-colored path. This creates continuity in tone, as the pavement pulls your gray shingles to ground level for a uniform look. If you have a dark-colored roof, make sure that the greenery around your home displays the same dusky tone. You can then tweak things a bit using light colors for the trim and siding. Go for the right textures. 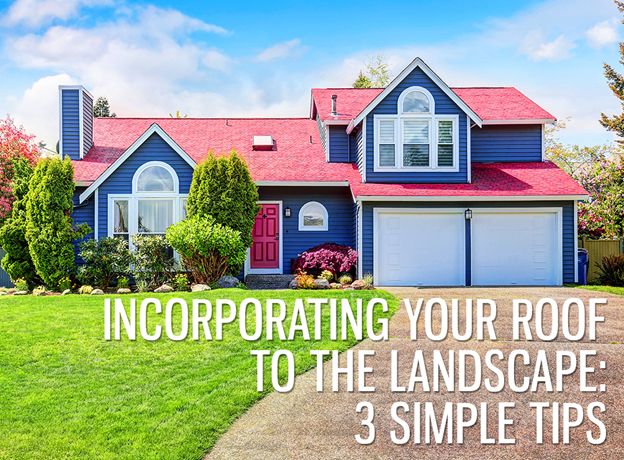 When incorporating your roof to the landscape, look to your system’s texture as a guide. Highlighting texture can make this design tip more worry-free. Shingles that emulate the look of classic tile, for example, work better with brickwork that matches their look. Though the two materials are completely different, the shared color and feel keeps your roofing in Westchester in sync with the landscape. Consider lines and shapes. Make the most of your roof’s prominent pattern or shape. By accentuating these factors, you’ll achieve that stronger connection between your home and the outdoors. Metal roofing, for example, has vertical seams that look excellent with tall, structural trees. The curves of tile roofing works perfectly against a backdrop of a soft, rolling hillside. The steep, sober look of slate roofing, meanwhile, will be lovely on a landscape of tall, imposing mountains. For roofing in Connecticut that stays in tune with nature, turn to Vinylume, your trusted GAF® Master Elite™ roofing company. We offer an impressive array of GAF shingles that can add to your home’s curb appeal, including the brand’s bestselling Timberline® and Designer Lifetime Shingles. They come in varied colors, thicknesses, and textures. Some can even provide the authentic look of more premium materials like slate and wood shakes. This creates a number of design possibilities in matching your roof with the scenery. Trust us for your roofing needs. Call us at (866) 244-8029 or fill out our form today for a free estimate.